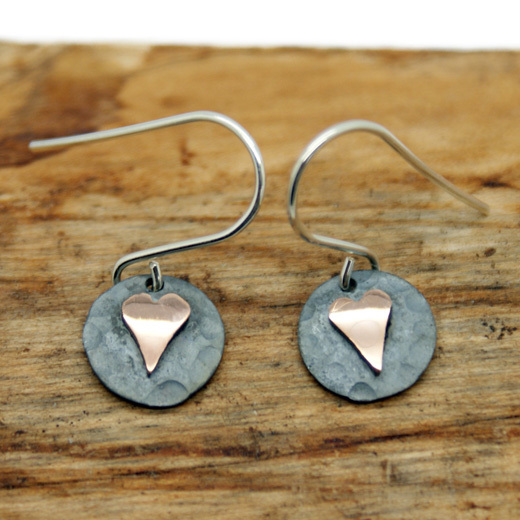 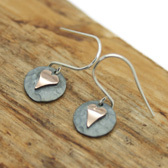 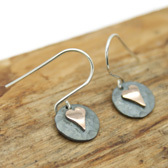 An attractive pair of earrings from the Yulan range, they feature a small round sterling silver oxidised disc that has been planished (hammered) and embossed with a highly polished red gold heart. 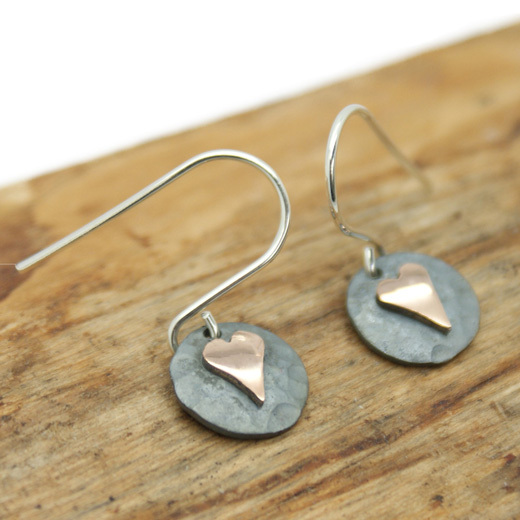 These earrings have the classic hook fitting, making them easy-to-wear, comfortable and are suitable for pierced ears. These earrings are very pretty, will enhance any outfit and look equally elegant with evening wear.